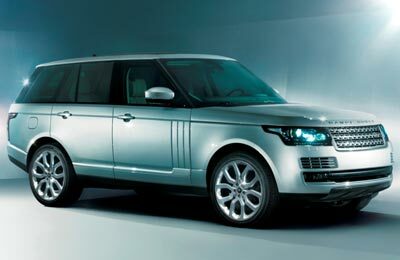 Jordan-based Mahmoudia Motors, which represents Land Rover and Jaguar in the kingdom, has launched the sale of the all-new luxury Ranger Rover next month, with deliveries to start from early 2013. The fourth generation of the unique SUV line, the all-new model has been developed from the ground up, offering a lightweight all-aluminium monocoque body structure that is 39 per cent lighter than the steel body in the outgoing model. The lightweight aluminium platform has delivered significant enhancements in performance and agility, along with a transformation in fuel economy and CO2 emissions as well as vehicle weight savings of up to 420kg. While the luxurious ride has been retained, the vehicle’s handling and agility have been significantly improved. The new suspension architecture delivers flatter, more confident cornering, with natural and intuitive steering feel. “Land Rover vehicles offer unique features, powerful performance and unrivalled luxury, and this brand new model is yet another proud addition to our collection,” Amjad Saeed, general manager of Mahmoudia Motors. Amongst the industry-leading innovations is a ground-breaking next-generation version of Land Rover’s Terrain Response system, which analyses the current driving conditions and automatically selects the most suitable vehicle settings for the terrain. The new model has been subjected to Land Rover’s punishing on- and off-road test and development regime, with a fleet of development vehicles covering millions of miles over 18 months of arduous tests in more than 20 countries with extremes of climate and road surfaces. The new SUV features acoustic lamination of the windscreen and side door glass, which significantly reduce noise levels.